No matter where you are in the world there is bound to be a tropical island that can be reached fairly easily. With a few friends or family, an island holiday relinquishes the daily grind, putting the purpose of living back into perspective. Would-be castaways can choose from a number of places to kick back and sit under a palm tree and drink from a coconut. So take your pick and check out 20 of the best island getaways for paradise seekers. The Whitsunday Islands of the north east coast of Australia are home to some of the most beautiful beaches and water scenery in the world. A total of 74 islands make up the Whitsundays, the majority are surrounded with white sand and unspoiled beaches. 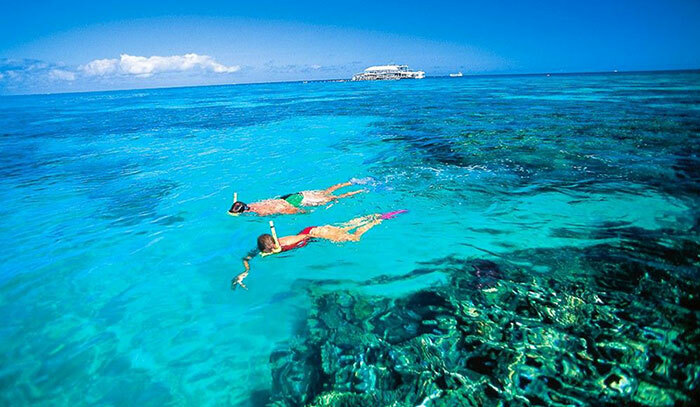 Surrounding these islands is the world renowned Great Barrier Reef, which attracts over 1.6 million people per year. 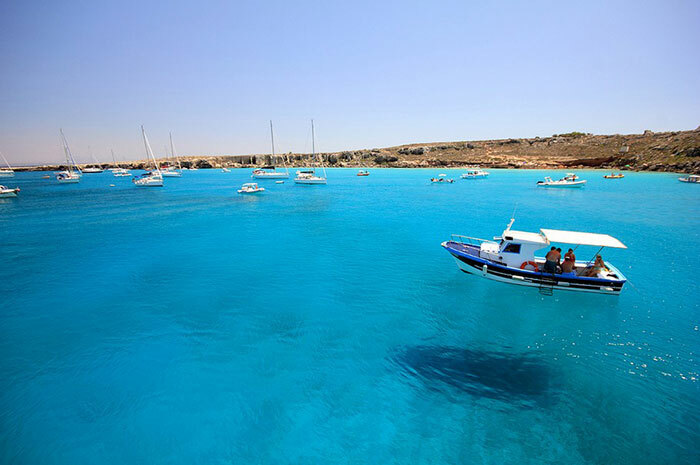 The tiny islands of Malta in the Mediterranean Sea are one of the most popular European island holiday destinations. Its mix of amazing clear beaches contrasts perfectly with its ancient architectural buildings creating a stunning backdrop. Try catching one of the many free weekly concerts there. 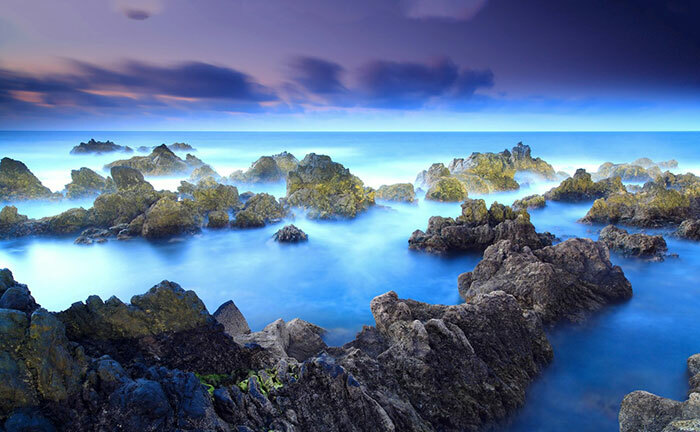 The Portuguese island of Madeira attracts approximately over 1 million tourists annually. The Small Island of under 400 thousand kilometres is used commonly as a stopover for vacationers travelling from mainland Europe to northern Africa. One of the biggest attractions is the Quinta do Riacho, a horseback trail with scenic views of the island. Corsica has a rich Mediterranean culture and climate, making it a must on paradise hunters bucket list. This French island has developed over time to be a year round popular tourist destination. Be sure to partake in some of the local cuisine such as wild boar and sea food. Located in the Pacific Ocean, Fiji is a paradise destination that is extremely popular among romantic couples and honeymooners. The Islands have a wide variety of deluxe resorts and hotels and has some of the best scuba diving in the world, which can be seen at any time of the year. Not just famous for its cigars, Cuba is also has a reputation for spectacular beaches and a vast array of marine wildlife. The small Caribbean nation has a rich Spanish heritage, which is a common theme in its architecture. A common party destination for US and Canadian citizens, Cuba’s tourism numbers have increased vastly over the past 15 years. Get out and try one of the dolphin cruises, which allow you to get up close and even swim with them. 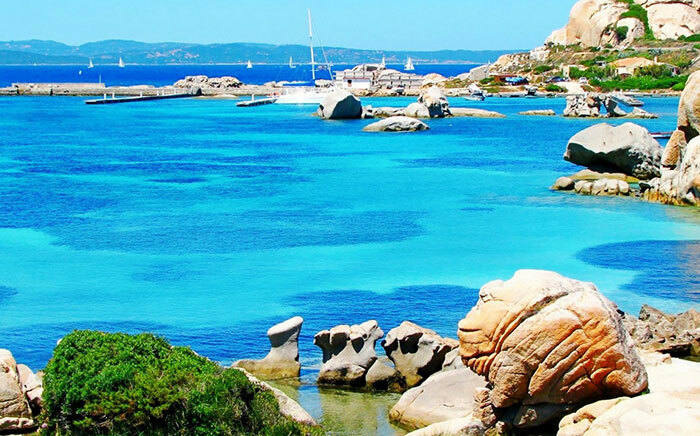 Located of the coast of Italy, Sardinia is the second largest island in the Mediterranean Sea. With a rich history that dates back to the ancient Romans, Sardinia has attractions for both history buffs and beach seekers. It has a year long warm climate that appeals to Europeans trying to flee the winter cold. Discovered by Christopher Columbus in 1493, Antigua is a tropical island located in the Caribbean. Well-known for its seafood cooking and party lifestyle, it is a must do for any traveller venturing to the Caribbean area. Be sure to take a boat out and explore the many different snorkelling and scuba diving reefs. The largest island in the entire Mediterranean, the area is sometimes referred to as Italy’s soccer ball when viewed on a world map. Sicily is a unique area that is drenched in ancient Roman and Greek culture, whilst also providing outstanding scenic views. It features six World Heritage sites, including the Aeolian Islands which attract thousands of tourists in the summer time. Known for its pristine beaches, cheap food and accommodation, Thailand’s largest island is one of the biggest tourist drivers to the nation. With extremely hot temperatures and a variety of different adrenaline activities, it has become a household destination for young travellers. Make sure that you are there for a full moon festival, where the beach erupts for a huge all night party. Seychelles is a group of French colonised islands of the east coast of Africa. With a sizzling hot year round climate, the islands are becoming more common as a tourist destination. 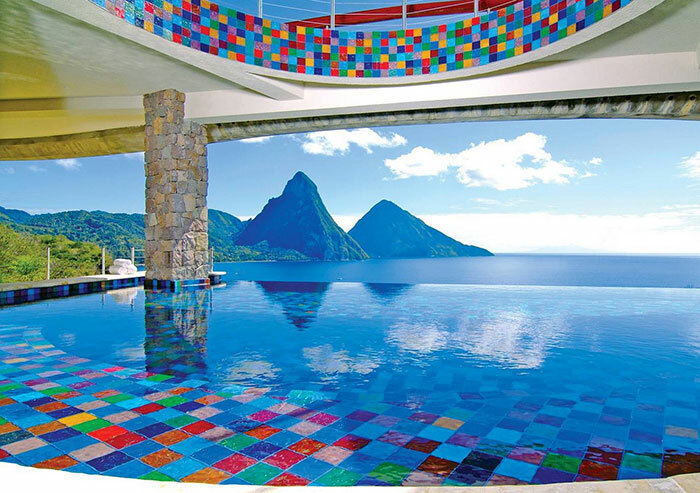 St Lucia is also a French colonised tropical island that is located just north of the Bahamas in the Caribbean. The island surrounds a gigantic volcano which is a very popular attraction for tourists. The main attraction however is the soft white sandy beaches and numerous resorts, which attract frequent cruise ships to the island. Once an island used for pirate trading, the island of Zanzibar off the coast of Tanzania has become one of the hottest paradise destinations in Africa. With friendly local people and fairly cheap prices, tourism has grown massively in the past decade. Make sure that you take a day to explore the old stone town, with its vast amount of markets and restaurants. Snorkelling is also a must here, with many different companies offering day tours on the outer reefs. The Balearic Islands are located of the coast of Spain. Home of tennis star Rafeal Nadal, it is well known for its delicious seafood varieties. The islands offer a large array of activities for holiday goers, including hiking, snorkelling and tours around its ancient ruins and sites. Be sure to walk the streets and indulge in the Spanish heritage that the islands have to offer. Mauritius is a tropical island also located off the east coast of Africa. Here you can indulge in a number of different water sports, with sailing being a popular activity. It currently has over a million tourists a year traveling to the island. The Bahamas are a group of 700 islands in the Caribbean that are a common destination for cruise ships. Known for its care free attitude as well as its assortment of rum breweries, it is a perfect place to relax and have a cocktail. Like many Caribbean islands, it is often visited by cruise ships. A very popular holiday destination for Australians, The island of Bali in Indonesia has gained a reputation of having some of the best beaches in the world. There are a number of different activities to partake on the island including numerous water sports, snorkelling and exploring the ancient temples and ruins. The Maldives are a group of paradise islands located in the Indian Ocean, south west of Sri Lanka. Tourism is the number one contributor to the Maldives economy, and with an assortment of lavish resorts that are built on the water, it is not hard to see why. Not for the cheap backpacker, the resorts can cost in the upwards of thousands of dollars a night. With stunning scenery, roaring night life and countless number of resorts and restaurants, it is no wonder that the Greek Islands are the number one Island destination in the world. With over 1400 islands, there is something to attract all age groups here. From the stunning white buildings and blue dome churches on the cliffs of Santorini, to the wild exuberant partying in the mega clubs in Mykonos you are bound to have an amazing experience here.